It’s pretty simple: our success is based from our superior customer service, which always begins with thriving, happy team members. Respecting our team at Basil is as equally important as respecting our customers and communities. The new, evolving retail auto market demands having absolutely the best people in place across our dealerships. 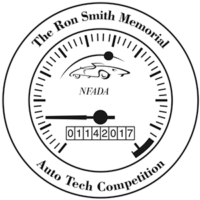 We partner with several local schools, colleges, universities, technical training centers, and development organizations around Western New York to build awareness of the opportunities within the automotive industry. 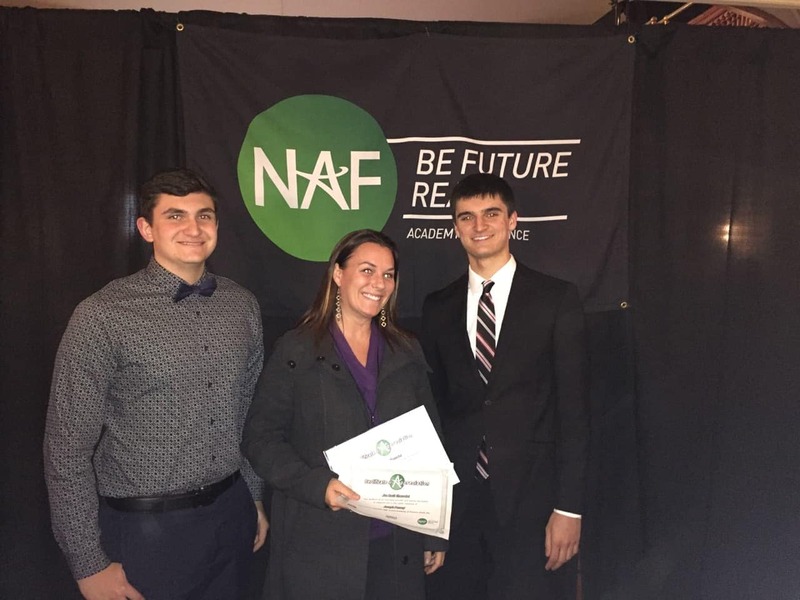 We educate students and trainees about the characteristics we seek in our employees, and we visit students and schools to build awareness of the long-term career opportunities within our dealership family. 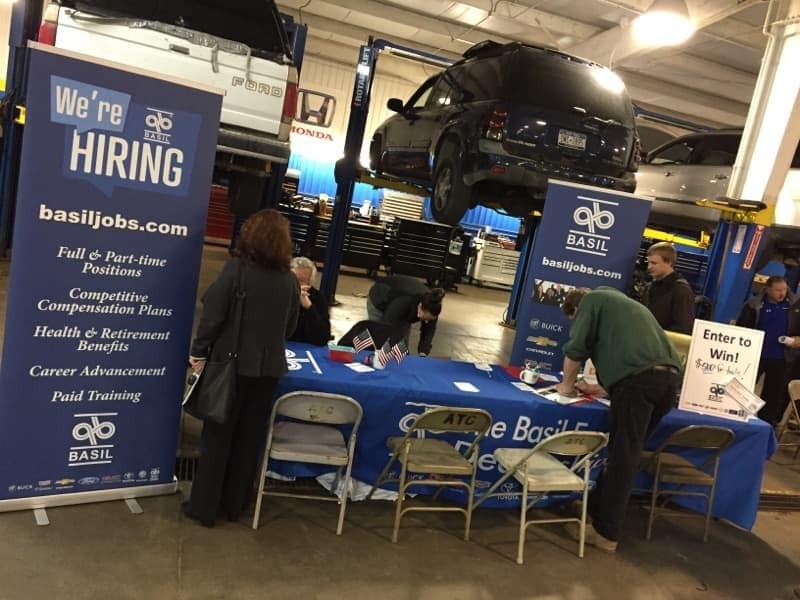 Our dealerships’ Service Lanes & Collision Centers offer internship opportunities for students still attending school, to work part-time on a flexible schedule to adapt what they learn in the classroom to real-life scenarios. These students work closely with a senior-level Basil employee, which successfully enables knowledge transfer and relationship building. Our Business departments also offer internships to students in school, seeking to earn real-life experience to build their college or university credit portfolio. 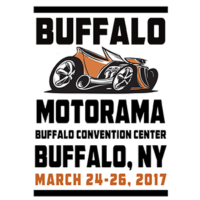 The Basil Family Dealerships support many events and groups around the WNY area. 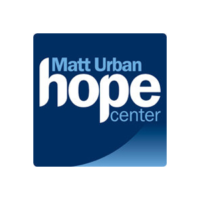 If you are interested in partnering, please message us on Facebook! 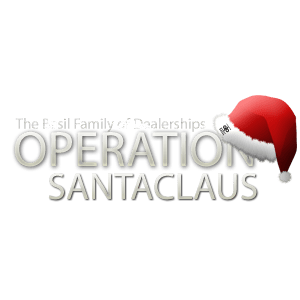 For 12 years, Basil has raised over 50,000 toys throughout the holiday seasons for the US Marines Toys for Tots Program locally in WNY, and each year we’re able to give away a free car to a lucky donor! 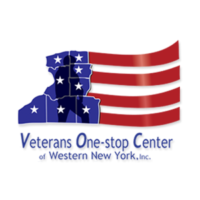 The Basil Family Dealerships partner with the Veterans One Stop Center of Western New York. 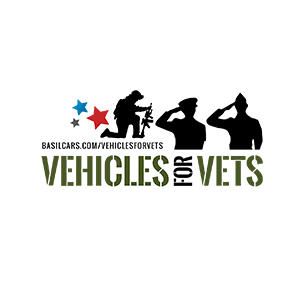 This is a summer long promotion where a veteran or active serving military member will win a new vehicle. 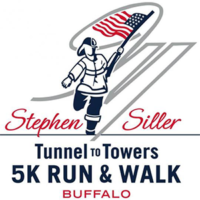 Basil and VOCWNY help to raise awareness for Veterans all throughout WNY needing aid. 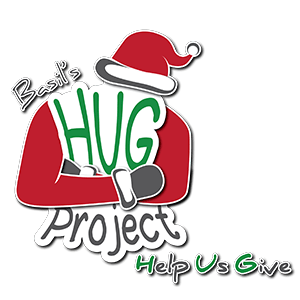 Basil’s newest campaign designed to raise awareness about Oishei Children’s Hospital and to aid the hospital in achieving goals to establish a more accommodating and comfortable atmosphere for children receiving critical care and their families.